I firmly believe there comes a point (or points) in all of our lives where we realize that life isn’t going to turn out the way we had always planned it. That moment for me came when Mom was diagnosed with (and passed away from) brain cancer. You see, like most people, I had a pretty good picture of how life would be in my head. When Mom was diagnosed, I was engaged, so when Jack proposed to me in August 2010, I had 2 healthy parents. In my plans, Jack and I would get married the following August, I would start my career, and eventually we would have children. All during this, I pictured having my mom and dad both there, healthy, spoiling the future grandkids. However, the Lord had different plans. In January 2011, Mom was diagnosed with brain cancer. This completely changed my life. It was a point where I realized that life was not going to turn out the way that I had envisioned. Maybe you have had points like this in your life. If you haven’t, I can almost guarantee that you will. Often times, when situations like this one arise, we often ask why? Why does life not turn out how we imagined? Why do we experience struggles and trials? I can’t give you a definite answer, but what I can do is point you to Scripture that the Lord has led me to in order to help us answer the question of why. James 1:2-4 (NIV) “Consider it pure joy, my brothers, whenever you face trials of many kinds, because you know that the testing of your faith develops perseverance. Perseverance must finish its work so that you may be mature and complete, not lacking anything.” Trails WILL come (notice the verse says when not if). These moments in life come to develop our perseverance, which ultimately makes us more of the person that Christ wants us to be. 2 Corinthians 12:9-10 (NIV) “But He said to me, ‘My grace is sufficient for you, for My power is made perfect in weakness.’ Therefore I will boast all the more gladly about my weaknesses, so that Christ’s power may rest on me. That is why, for Christ’s sake, I delight in weaknesses, in insults, in hardships, in persecutions, in difficulties. For when I am weak, then I am strong.” Christ allows us hardships, trails, weaknesses, etc. to allow us to see/learn that Him and His grace is all we really need. It’s in these moments that we can say, “Your grace is enough.” It’s also in these moments when we experience Christ’s grace and His power in ways we cannot experience otherwise. Isaiah 55:8-9 (NIV) “‘For My thoughts are not your thoughts, neither are your ways My ways,’ declares the Lord. ‘As the heavens are higher than the earth, so are My ways higher than your ways and my thoughts than your thoughts. '” God allows things in our lives to teach us this very lesson. His thoughts and His ways are not ours; in fact, His thoughts and His ways are higher than ours, and they are better than ours. What we think might be best in our lives is probably different than what the Lord knows is best. Find peace in the fact that His ways are not our ways. Genesis 37-50 (The story of Joseph). In a nutshell, Joseph’s brothers are jealous of him. They sell him into slavery, but after series of events, Joseph becomes Pharaoh’s right hand man and is able to help his family during a famine. I bet being sold into slavery wasn’t what Joseph had pictured for his life, but I also bet that being a high ranking official with Pharaoh wasn’t something that Joseph had pictured either. God used a trial in Joseph’s life to make him fruitful in his suffering (Genesis 41:52). God can use trials in our lives for the very same thing. This story is proof of Romans 8:28. If you are a believer in Christ, then Romans 8:28 is a promise for you too! Proverbs 19:21 (NIV) “Many are the plans in a man’s heart, but it is the Lord’s purpose that prevails.” We have lots of plans in our hearts. Not all of our plans are bad, necessarily; it’s just that Jesus knows what is best for us, which make his plans better. The Lord allows moments in our lives where we realize things won’t turn out as we imagined because it reminds us and teaches us that He is the one who is in control. No matter what our plans are, God is sovereign and His plans will prevail. Let that give you peace! I could go on and on of different verses of Scripture that can help us answer the question of why things don’t turn out how we planned. No matter what happens in your life, just remember that if you are a Christ follower, God is working it out for your good and His glory (Romans 8:28). When Mom was diagnosed and passed away from brain cancer, life as I knew it changed forever. However, God used that time in my life to teach me that He is in control, His plans are better, His grace is enough for me, He is made strong in my weakness, and so much more. Jesus is so faithful. Hang on to these Truths that God has in His Word, my friends. No matter what is going on in your life, cling to Him and allow Him to make you fruitful in your suffering, just like He did with Joseph. Come back soon for part 2. Today, we’ve focused on the why. Later, we will focus on the how; specifically, we will focus on how we can respond when life doesn’t go our way/as we had planned. For now, leave a comment sharing what God has taught you in those moments in life when you realize He is in control. 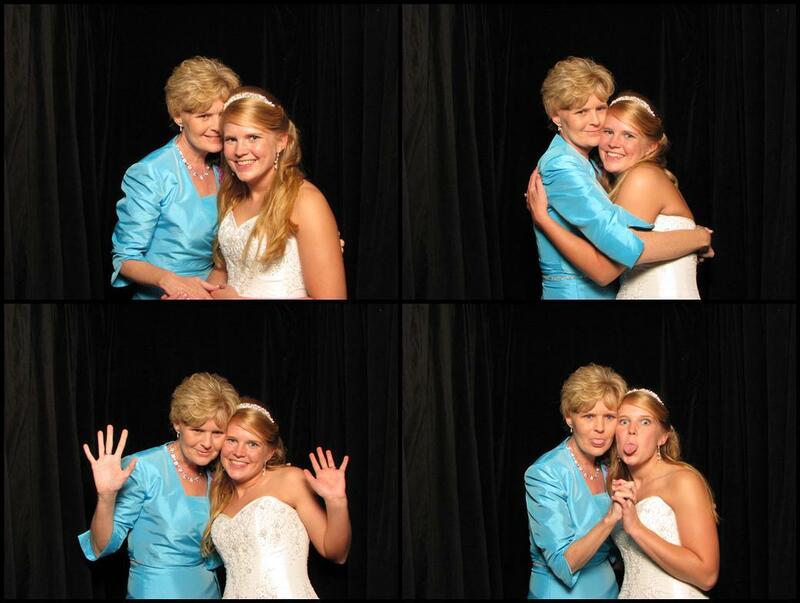 This isn’t how I pictured my wedding when I first got engaged, but these memories I made with Mom are so special to me now. I will cherish them forever and will always thank Jesus for His perfect plans! Casey you inherited your moms beauty for words and teaching. She was there so many times for me when my wasn’t going as I had planned. She always had the right words to say to make me understand how God to use each situation to testify for him. I thrive off those lesson now. Thank you so much for sharing her legacy. God bless you and your family.